Microsoft has announced that pre-configured machines with Office 2010 Beta and SharePoint 2010 Beta 2 are now available for download. joined in the same “contoso.com” domain. 8 GB of RAM are recommended for running the machines. The good people at Visual Studio Rangers have provided quick reference cards for many VS2010 features. 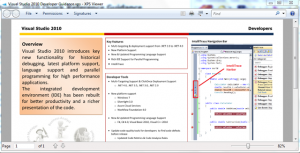 Their aim is to use them as a quick 5-min guide for the new users of VS2010. The reference cards are available on CodePlex and are in XPS format only. How Did The Prediction End on SP2010? More than a year ago, I wrote a summary post about the rumours and buzz around the next version of SharePoint (SP2010). My post has seen a lot of translations and links to it from different blogs. Now I’d like to revisit it and check what has been correctly predicted and what has not. Let’s see how do I stand as a crystal-ball reader. 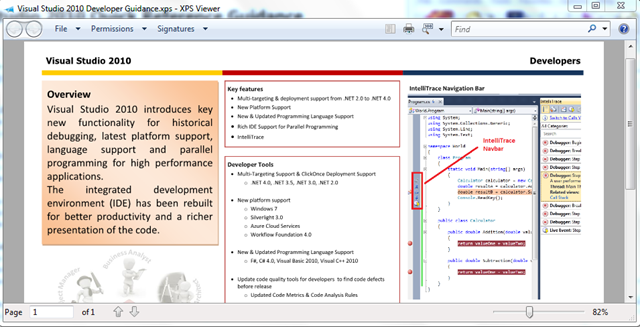 Silverlight 2.0 webparts or UI will be present. SharePoint UI will produce clean XHTML-compliant output. Not included in SP2010. The output is WCAG-compliant (no tables) but not strict XHTML. Posted on January 13, 2010 January 19, 2015 Categories englishTags analysis, sharepoint 2010Leave a comment on How Did The Prediction End on SP2010?